1694  Earliest known date of existence under when property was under the ownership of John Boone (5). 1856-1862  J. Thomas Hamlin White owned Laurel Hill during this period (2). 1864  Dr. Peter P. Bonneau acquired the property (5).
?  It is believed the house was destroyed by fire sometime after the Civil War (1, p. 1).
?  John D. Muller, Jr. acquired Laurel Hill Plantation. 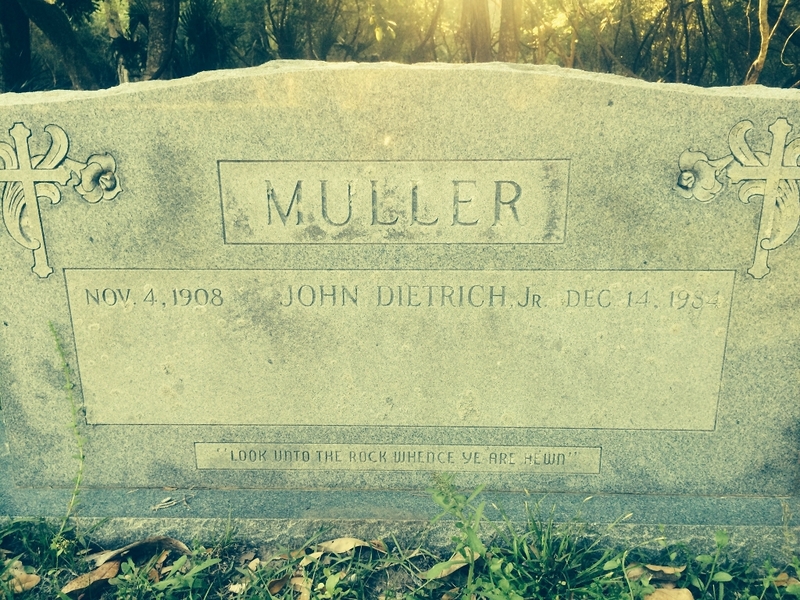 1984  John D. Muller, Jr. died. His will named Newberry College and the Franke Home as beneficiaries with Wachovia Bank (now Wells Fargo) as trustee. He is buried at Laurel Hill Plantation, see image below (4). 2011  Charleston County Park and Recreation Commission signed a 100 year lease to use Laurel Hill as a park (3). 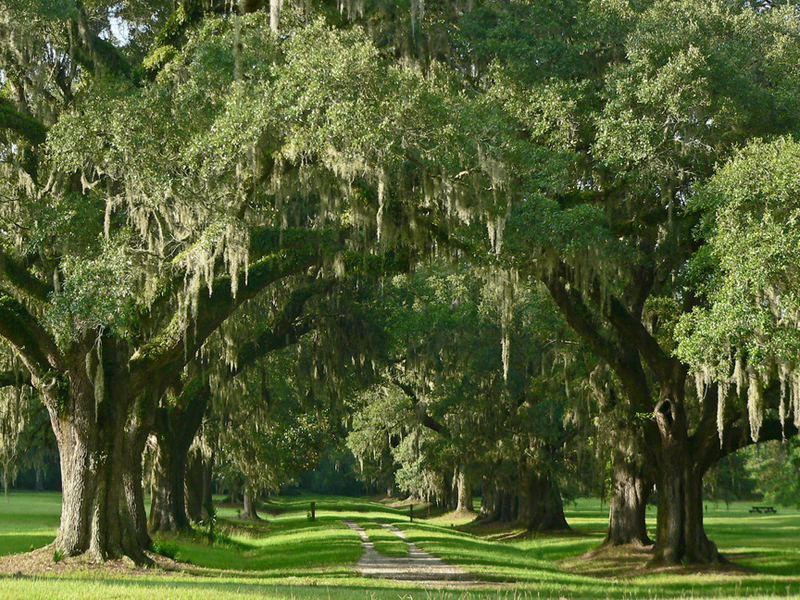 An avenue of oaks can still be seen today (1, p. 3). Remains of a house that is said to have been destroyed by fire after the Civil War is located near the center of the property. A caretaker house is the only structure still standing (1, p. 1). Learn more about historic Charleston County including the port city of Charleston. We have helpful guides to Charleston history and Charleston libraries and museums – plus Charleston restaurants, Charleston bed & breakfasts, Charleston hotels, Charleston real estate, and Charleston jobs.